Having the assurance that your basement will not be affected by moisture is almost invaluable. Matthews Wall Anchor & Waterproofing can help you determine the best waterproofing solutions to give your home the best protection against moisture invasion. However, everything comes with a cost, and the same is true for basement waterproofing. The team at Matthews Wall Anchor & Waterproofing does everything possible to ensure that your home gets the best waterproofing products and solutions at a price that fits your budget. Contact us today for a free estimate and for more information on our basement waterproofing prices. There are a few different factors that can affect the cost of your basement waterproofing investment. Size of the Basement: Not surprisingly, the larger the basement, the more expensive it will be to waterproof. This is because larger basements require a greater amount of materials, and also because larger basements may require more extensive waterproofing methods. However, we do all that we can to give you a good price no matter how large your basement is. Finished vs. Unfinished: The cost of waterproofing a finished basement is higher than the cost of waterproofing an unfinished basement. Finished basements tend to have many more obstacles to work around, thus, it is more difficult to install drainage equipment. Parts of the walls and floor may need to be temporarily removed to install drain channels and pipes. In some cases, though, the bottom parts of your basement walls may need to be replaced due to damage anyway. 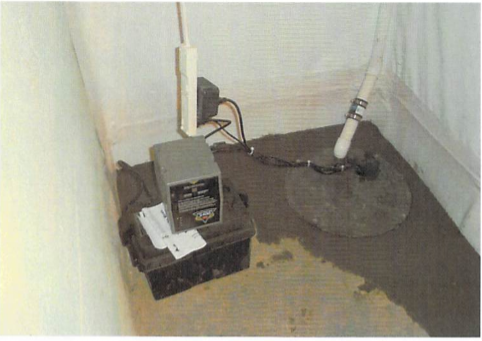 Quality Waterproofing Products: Here at Matthews Wall Anchor & Waterproofing, we offer a variety of sizes and types of waterproofing products, like our variety of sump pump systems. 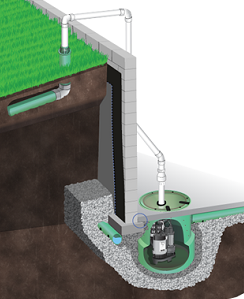 Despite the higher cost of the more advanced sump pumps and other products, it may be worthwhile to spend a little more on a good sump pump and a backup sump pump to save you from replacing it in a few years or dealing with damage from an inadequate sump pump. Dehumidification Services: Though not always necessary, dehumidification services can help reduce the moisture in your basement. If you want to add this to your current waterproofing solutions, it will increase the cost a bit, but if the water issues in your basement are not severe, you may consider investing in a dehumidifier alone for a less expensive option. What if you just have a little bit of water in your basement, and it does not affect your foundation or cause any structural damage to your home? Though you may be tempted to completely forego basement waterproofing to save money, this could actually cost you more in the long run. If you leave your basement moisture issues alone, they will only get worse. That is why it is important to work with our team to find the best solutions for your home. If you are interested in learning more about our many services and products and finding a solution to fit your budget, contact us as soon as possible.